The DROID brand got kicked off with a huge bang back in late 2009 with the launch of the original “OG” DROID smartphone. The device is pretty much known as a legend among other devices and is a great looking-back point to where we can see ourselves now. It’s 2013 and we have quad-cores, 1080p displays and a ton of other fancy specs that we would have only dreamed of back then. Alongside the DROID was the DROID Eris, a somewhat weaker device that was launched by HTC at the same time. 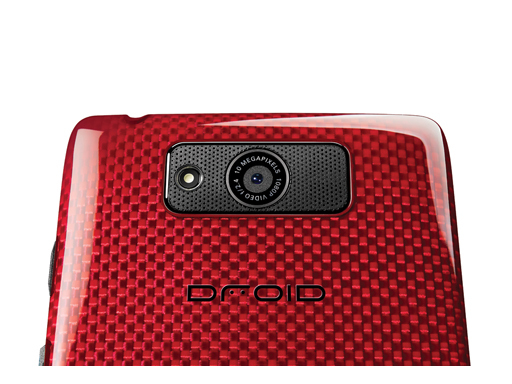 For quite a while, other OEMs besides Motorola were given branding rights for DROID devices by Verizon. There was the HTC DROID Incredible, Incredible 2, Incredible 4G LTE, Samsung DROID Charge and most recently the DROID DNA from HTC. During that time, Motorola also kept pumping out DROID-branded devices in the DROID RAZR line and DROID *insert numerically ordered device names here* lineup. Confirmed by a Verizon executive today, going forward, we won’t be seeing anymore DROID devices from anyone else besides Motorola. Jeff Dietel, a Verizon marketing exec, said that the DROID brand needs to stand for something to the customers. According to him, the new DROID lineup from Motorola will be promised a longer shelf life in comparison to past hero devices on the network. What this could mean for HTC and their struggling sales, it’s hard to say. On one side, this could give them more time to focus on hero devices to launch on all four carriers, instead of concerning themselves with an exclusive. Then again, having an exclusive means you can also rely on the carrier to handle some of the marketing burden for the device you’re launching, plus the almost-guaranteed sales thanks to the popularity of the DROID brand. Either way, moving forward, we can expect to see DROID devices from only Motorola and no other OEM. Feel free to share your thoughts on this move by Verizon down below.